Exec. director of the Miss. Emergency Management Agency updates Anderson cooper about a dam threatening to rush water downstream. Hurricane Isaac's floodwaters are reminiscent of Katrina. See the latest in Mississippi, where a dam threatens to breach. CNN's Deb Feyerick investigates controversial remarks that New York priest Benedict Groeschel gave to the National Catholic Register concerning pedophiles and sexual abuse in the Catholic Church. In their statement, the Franciscan Friars say that Father Benedict never intended to excuse the abuse or implicate the victims. They say in recent months his physical and mental health have been failing, and while its not an excuse it may suggest, they believe, why a man they consider so compassionate, could be so wrong. Anderson Cooper talks to columnist Andrew Sullivan about what Obama needs to say at the DNC to counter the RNC momentum. Did Romney-Ryan's RNC strategy work? Were Republicans successful at the Tampa convention in getting their message to voters? Republican Strategist Mary Matalin and Democratic Strategist Paul Begala discuss. 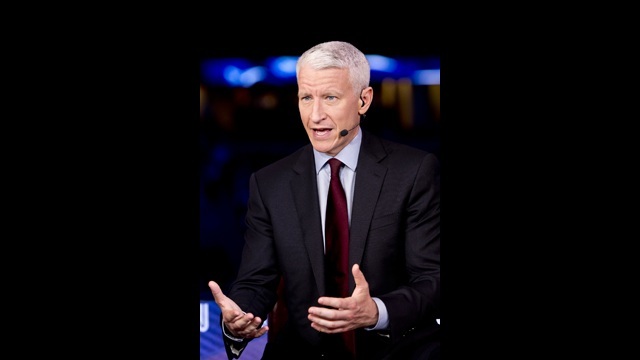 Anderson Cooper and Gloria Borger talk to Michael Barbaro of The New York Times about what led to Eastwood's RNC speech. Reporter's Note: I write to President Obama every single day, and no he has not responded. The big GOP convention is done, and I am sitting in the Tampa airport as I write this; pretty tired generally, and tired of politics specifically, at least for the moment. If the vote were this Tuesday it would be none too early for my taste. And yet, on Monday I'm heading to your Democratic convention, and I'll make my best effort to be energetic and cheerful there, just as I was here. That's only fair. Just because one party holds it's convention first the other should not be condemned to a bunch of grumpy, sleepy journalists. Although, to be fair, a lot of us started the whole year that way. Ha! I suppose one of the things that has me a bit tired is my assignment as the resident "Fact Checker." I've always thought that any journalist, by his or her very nature, ought to be a fact checker and I suppose most are. Still, when you politicos start tossing around accusations against each other, it requires a more concerted effort than usual to determine what is true and what is... well, a tad on the tricky side. Part of the issue is that the top players, you included, rarely say something that is simply, flatly, unreservedly false. No, most of you prefer to imply, or shade meanings, or omit information; you usually don't tell outright fibs. So quite often we are reduced to saying things like, "While it is true 'Candidate A' spent twenty years in prison, 'Sen. B' neglected to mention that 'Mr. A' was a warden." In any event, both sides go absolutely carpet chewing, howling at the moon crazy over these things. If a fact checker finds an opponent wrong, your political pals can't wait to tweet that out and praise the wise assessment; if, however, you are found leaning to the less truthful side, it is astonishing how quickly and vigorously the same folks will scream that the fact checker is a biased, unfair, unintelligent bigot. Truth be told, I think both parties ought to welcome fact checkers, because they will hold everyone to a standard of truth, and all anyone has to do to avoid trouble is be honest. That's it. Hey, look at it this way: If you all did that, I'd be out of business, and all you Democrats and Republicans would not have to gripe about this fact checker any more. Ha! Editor's note: CNN contributors offer their analysis of Mitt Romney's delivery at the RNC. Read reaction from Julian Zelizer, Maria Cardona, David Gergen, Donna Brazile, Ana Navarro and others. Mitt Romney had to accomplish three goals in his speech Thursday night: He had to introduce himself to the nation, he needed to explain why he is a better alternative than President Obama and he needed to outline his vision for the nation in the next four years. Through a solid, though not an exceptional, speech, Romney made progress on all fronts. He opened up by sharing more about his religion as well as his family. His speech showed that Romney is more than a ruthless capitalist, offering an alternative narrative of Romney as a problem solver. Until tonight, all of the speakers, including Gov. Chris Christie and Wisconsin Rep. Paul Ryan, spoke about the need to make tough choices. The speech, and the biographical film, presented Romney as the person who could take up this challenge. Immediate reactions to Mitt Romney's RNC speech and the overall Republican convention from CNN's political team.